Autumn is on its way. The wild geese appeared early on Islay this year. Sign of a cold winter? Who knows? September has been an eventful month. Done and dusted! 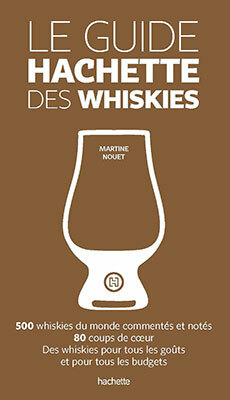 Le Guide Hachette des Whiskies is now in bookshops and Amazon (including amazon UK – £17.20). It presents 540 tasting-notes (including 80 favorite or “coups de coeur”), introductory chapters on the history, the making, tasting, pairings of worldwide whiskies. Looking forward to an English version. Patience… hopefully next year. 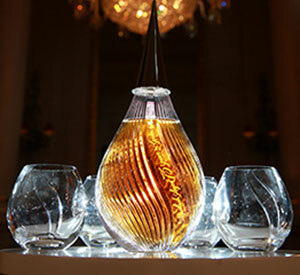 The third treasure of Gordon & Macphail’s Generations range was unveiled early September at the Royal Opera House in London. This Mortlach was filled into cask by John Urhquart in 1938. It stayed 75 years in this first fill sherry cask and was looked upon by the three following generations of the Urhquart family. It was presented by Charles McLean. This is an incomparable nectar. Surprisingly lively, it releases opiate notes of heady flowers and exotic wood (sandalwood, vetiver root), old leather, incense, cloved orange, dried fruit and an earthy note of truffle. This is the expression of rancio often found in old cognacs. The palate is silky and smooth developing on mango, praline chocolate, marzipan and soft spices. Complexity, elegancy and an incredible liveliness make it a moving tribute to a family heritage. 100 decanters have been crafted. You don’t want to know the price. A group of 15 Tasmanian distillers, whisky collectors and investors came to Islay at mid September. They did not miss one single distillery! I organized a dinner for them to meet Islay distillers at the Port Charlotte Hotel. What a wonderful evening. The idea was for both sides to exchange their distilling experience and to taste the drams. Unfortunately two distilleries were missing, not that the distillery managers were reluctant to come. They would have loved to. But the marketing department in Glasgow would not let them go, arguing that they were too busy! I would have been interested in knowing the real reason! But in spite of all my efforts, they camped on their position. On the photo, you will recognize the legendary Bill Lark, the man thanks to who the whisky started in Tasmania (and the rest of Australia), Georgie Crawford (Lagavulin), David Wood (Caol Ila), Mickey Heads (Ardbeg), Andrew Brown (Bunnahabhain), Andrew McEachern (Kilchoman), Carl Reavey (Bruichladdich). There are so many similarities between the two islands that I dream of a twinning, not only on distilling matters. Tasmania is a big island with small distilleries and Islay a small island with big distilleries. After The Mortlach 75 Year Old, I met another piece of anthology. 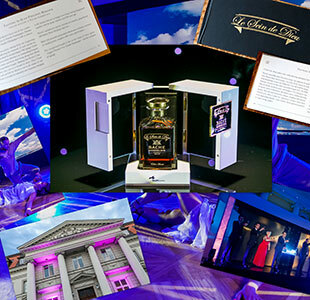 Wealth Solution, a Polish company which specializes in selling outstanding wines and spirits as well as modern art, contacted to me earlier this year to write a booklet on their last bottling, an exceptional cognac created by Bache-Gabrielsen cellar master, Jean-Philippe Bergier. Tasting my (tiny) sample left me voiceless but not without inspiration. Le Sein de Dieu is a blend of exclusively pre-phylloxeric cognacs. A unique combination of the oldest eaux-de-vie having stood the test of time. Before the devastating insect ruined the vineyard, the king of grapes was a queen: the Folle Blanche, a floral and graceful grape which gave extraordinary complex and refined cognacs, especially in Grande Champagne. Enjoying a pre-phylloxeric Folle Blanche is tasting History. Folle Blanche grape is a coloratura soprano with a sophisticated tessitura. A voice of purity, gifted with an agile timbre that displays an outstanding aromatic amplitude. Unfortunately a frail grape susceptible to illness, Folle Blanche was replaced by the sturdy but less noble Ugni Blanc after the phylloxera disaster. Ugni Blanc, with its darker register, would be to a baritone what Folle Blanche is to a soprano. Surprisingly, this blend contains cognacs which were distilled in the early 19th century and apparently there is also one distilled in 1790, the year Mozart created Cosi Fan Tutte. The analogy was inevitable! Le Sein de Dieu was presented in Warsaw at a reception with a superb decorum. Here too, you don’t want to know the price!